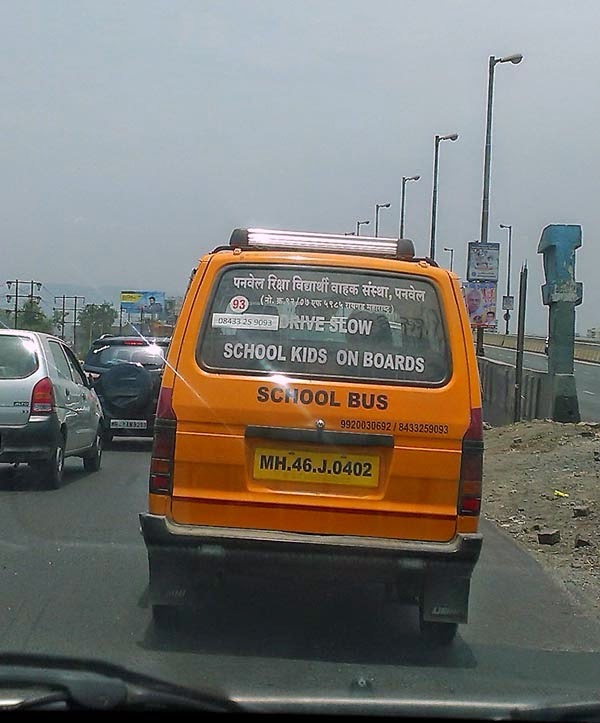 A van carrying school kids and with a funny sign " School Kids on Boards" . The extra letter 's' being a typo!
" 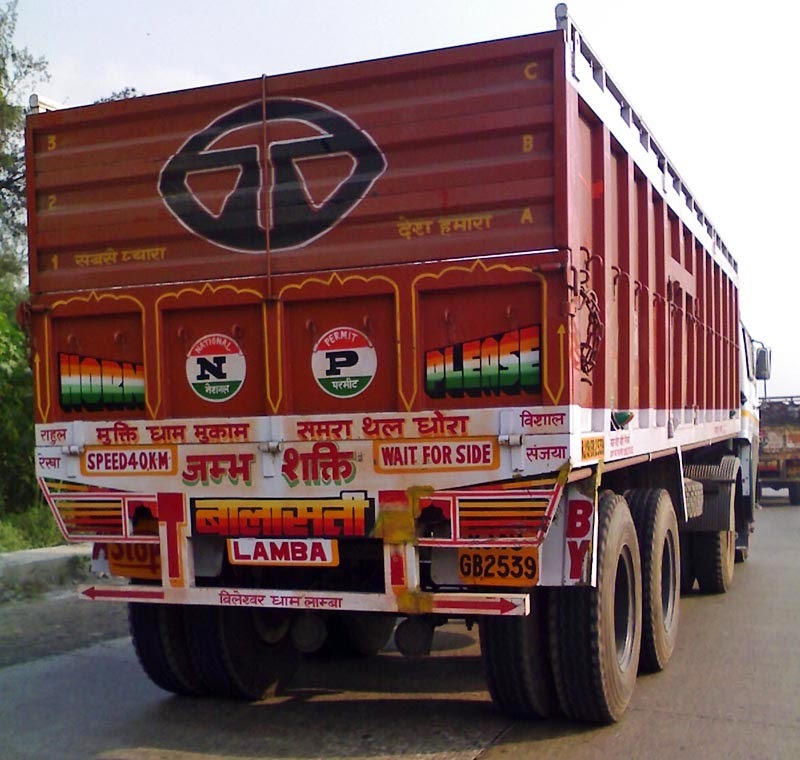 Wait for Side" which is seen on the back of this truck is actually a commonly used Indian English phrase. It's not in the dictionary, but easily understood by everyone in India. It means wait until you are given the signal to overtake. 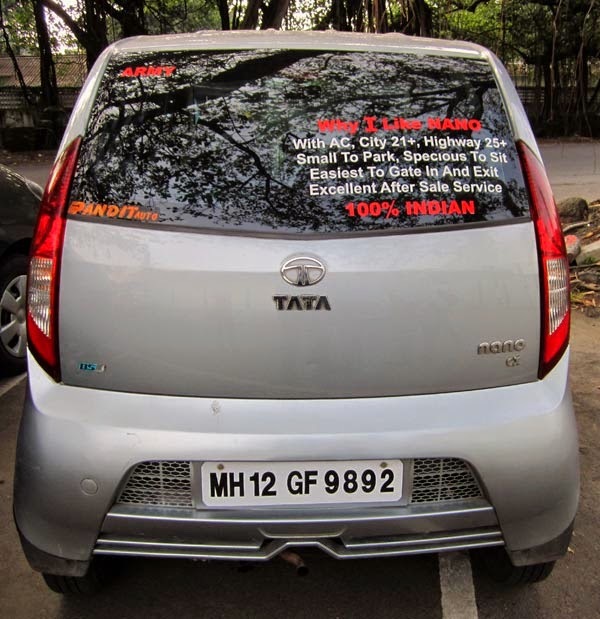 This writing on the rear windscreen of a Nano was pretty weird! And not just because of the several spelling and grammar errors like 'Specious' instead of 'Spacious' and then is 'gate in' even a phrase?